GoXtra News: Red Heart Rum re-positions with the launch of the 'Live with Heart' campaign! Red Heart Rum re-positions with the launch of the 'Live with Heart' campaign! 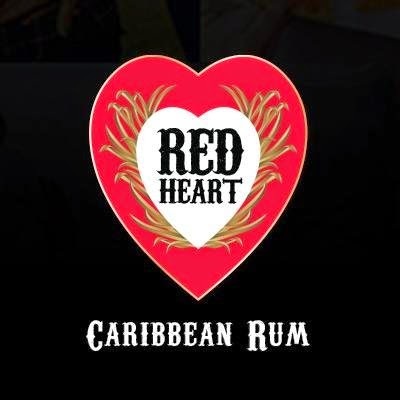 As the market leader in the dark rum category, Red Heart Rum has always been synonymous with unparalleled quality and taste. Now through a dynamic creative platform, the brand is broadening its target market appeal to a bold, younger consumer with the launch of their “Live with Heart” campaign. Focused on bringing Red Heart Rum’s intrinsic elements to life, the new campaign is centered on the bravery it takes to “Live with Heart” through bold, real and spirited actions. From mid-August until mid-October, consumers will see the brand salute those who authentically and boldly follow their intuition and instinct through a 360° communications campaign. Included in this are several below the line components which include out-of-home, digital marketing, social media, and retail merchandising/point of sale elements, as well as an acclaimed new TVC directed by one of South Africa’s award-winning top creative minds and world renowned commercial directors – Ian Gabriel. Recognised globally for his exceptional visual flare, Gabriel’s approach to filmmaking has earned him the reputation for creating distinctive compelling narratives, turning many of his commercials into beautifully crafted short films in their own right. Under his direction, the 30-second commercial shot on location in and around Cape Town (Castle of Good Hope, Newspaper house and Dasvlei Farm) in mid-August, celebrates the unique journey of a young man's life and concludes with recognition from those close to him for admirably following his heart. “The key message of ‘Live with Heart’ embodies the bold spirit of the acclaimed rum, and is visually translated to encourage consumers to make the most of every moment. This is something we hope they take up through the 60-day #LiveWithHeart challenge,” remarks Sarah Mansfield, Brand Manager for Red Heart Rum. The challenge, which broadcasts on 5 FM, Y FM, Algoa FM and Good Hope FM, and is further amplified on the brand’s digital and social media platforms, is a consumer initiative which entails 30 challenges and 30 salutes, with the opportunity to win 30 epic prizes. In a bold illustration of the brand’s key message, well-known adventurous 5FM radio DJ Roger Goode (@DJRogerGoode) will be engaging in some of the challenges via social media to showcase how he lives with heart. From “Be what you wanted to be as a kid. Even if it’s only for a minute”, to “Tick something off your bucket list. Even if it’s small”, to “Discover something you never knew before, and tell us, or show us why it’s new for you” and “Build something from scratch. Like a cardhouse. Or a fort”; Roger Goode will be adding his unique flair to the challenges with bold, real and spirited actions, whilst encouraging consumers to do the same.